Inexpensive, Fun-Filled Activities to do in Denver, CO This Summer! Come on down to Denver where the sun is hotter and the air is thinner. Denverites enjoy spending the summer months outside, usually doing something active but the activities listed below include a wide variety of interests. We will be featuring different events every week since there are so many great things happening this summer in Denver! 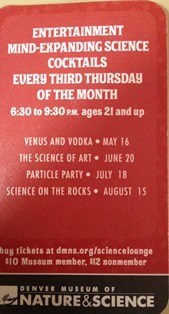 Come to the Denver Museum of Nature and Science every Thursday this summer for cocktails, education, and fun! Every Thursday, the Denver Museum of Nature and Science opens their doors for person’s 21 and up to enjoy cocktails while learning about a new topic each time. Tickets are $12 for non-members and $10 for members. FREE: First Friday Art Walk. These happen the First Friday of every month – June 7, July 5, August 2, and September 6. Experience artwork from galleries along the Sante Fe Art District (Along Sante Fe between 8th Avenue-12th Avenue). Most galleries offer drinks for free but do appreciate donations. 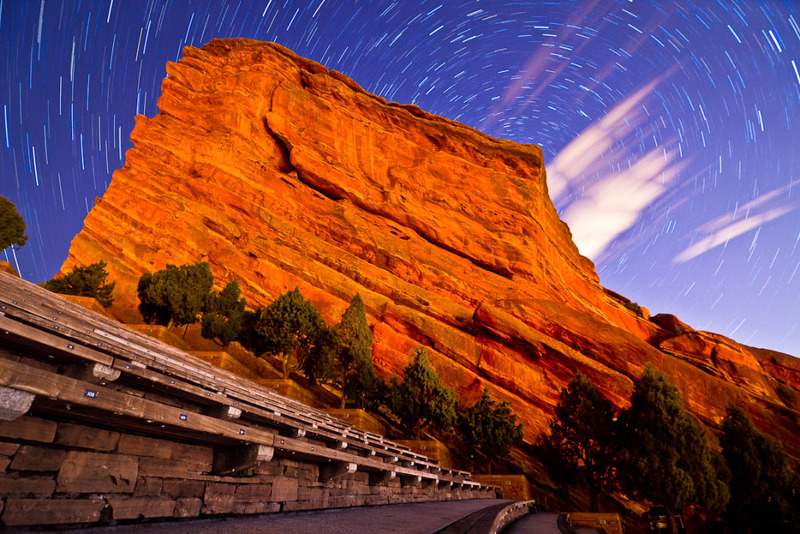 Come enjoy a movie under the stars and the gorgeous surroundings at Red Rocks this summer! Red Rocks Amphitheatre, Morrison, CO. Enjoy a hit movie while basking in the beautiful surroundings. Tickets are $12 in advance and $13 at the door. Before the movie, you will also enjoy either a comedian or band before the movie starts and audience contests; Southwest Movies at Skyline Park, Skyline Park, Downtown Denver, this event is FREE and is open to kids and pets; Larimer Square Summer Film Series, open to the public with the option to reserve a table ($20, per showing, per person) at one of 11 great restaurants within Larimer Square. Film nights are: June 6th, July 11th, August 1, and September 12th each with a different movie at 6 and at 8:30. All proceeds benefit participating non-profit organizations, Larimer Arts Association, and Denver Film Society; Civic Center Bike-In Movie Series, Civic Center Park, Downtown Denver. FREE and open to the public. Bike (or use other methods of transportation) to this free outdoor movie event! Bike racks will be provided. Dates are July 18, August 2, August 16, and September 13. Come downtown this Saturday to experience Denver’s Day of Rock with live bands throughout the day – all along the 16th Street Mall. 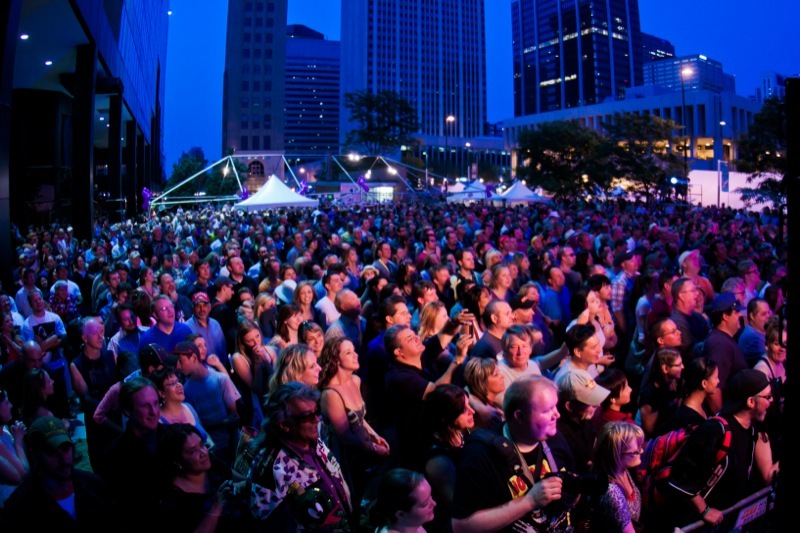 Denver Day of Rock, this Saturday, May 25th all along the 16th Street Mall in Downtown Denver; City Park Jazz come experience live jazz music for FREE every Sunday night in June and July in City Park – 6-8pm Rain or Shine. Downtown Denver Arts Festival, May 24th-26th, Denver Performing Arts Complex. Come check out local art work while enjoying the sunshine this Memorial Day Weekend.